There’s a saying in the sports world that it’s easier to get to the top than stay at the top, which is why New World Wealth naming Val de Vie Estate in Paarl as South Africa’s best residential estate for the third year in a row is so gratifying. This is according to the exclusive Paarl estate’s Marketing Director Ryk Neethling. The survey, by global financial institution AfrAsia Bank and research group New World Wealth, rates luxury estates on criteria that includes design and space, communal gardens and parks, maintenance, location, security, scenery, activities and facilities. 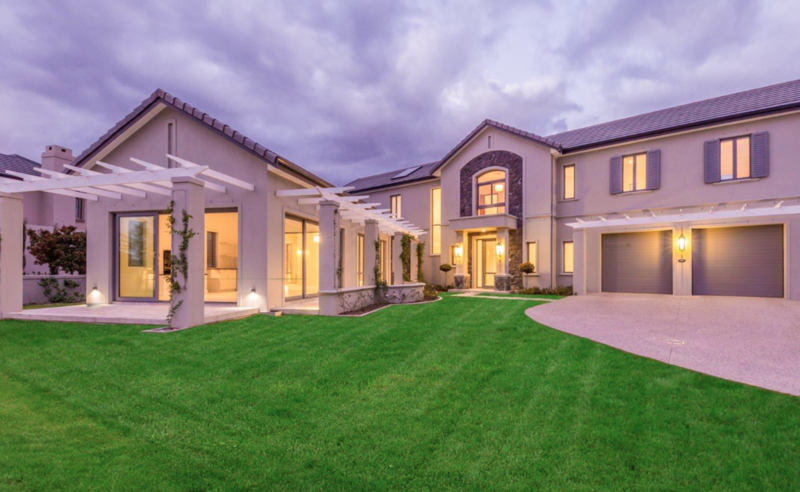 The award comes just more than a year after a landmark property deal amalgamated two of the country’s most sought-after residential lifestyle estates, with Pearl Valley and Val de Vie becoming a single luxurious, self-sustaining community in the Winelands known as Val de Vie Estate. Former Olympic gold medal-winning swimmer, Neethling, says he is extremely proud of the estate’s management team and staff. “Being revolutionary and having the vision to constantly innovate is the difference between average and outstanding, and that’s what makes the Val de Vie team so effective,” he says. Neethling says another area of critical importance is variety in the lifestyle offering to prospective investors. “Val de Vie is the final word in luxury from start to finish, but each area tells a different story as you move through the estate. There are apartments, houses of all sizes, hotel accommodation and pristine stretches of farmland, each providing a different feel and experience. “Val de Vie isn’t just an estate, a secure collection of homes. It’s a variety of destinations in one location, with the additional USPs of top equestrian and polo facilities, as well as a SignatureJack Nicklaus golf course. Dr George Cilliers, Co-Principal of Lew Geffen Sotheby’s International Realty in the Winelands, says property values have notably increased since the merger of the two estates last year, and continue to rise despite general market conditions. The price of vacant ground, he says, has shown the most growth. “In 2015, developers plots on the Pearl Valley side sold for between R800 000 and R1.9 million. The same plots are now selling for between R1.8 million and R3 million. Residential properties prices have increased by as much as 40% t0 60% in some parts of the Estate, depending on the nature of the property,” says Dr Cilliers. Because of the variety of real estate on offer, he says there is a wider buyer demographic, including young executive families, empty nesters, retirees, international swallows and investors who want to take advantage of the rewarding buy-to-let opportunities. “They are attracted by the ultra-luxurious facilities and high level of security on the estate, as well as the excellent local schools and medical facilities nearby, and the easy access to Stellenbosch, Paarl, Franschhoek, Cape Town and the airport,” says Dr Cilliers. According to the New World Wealth survey, recent trends in estate living include a rise in demand for retirement estates.